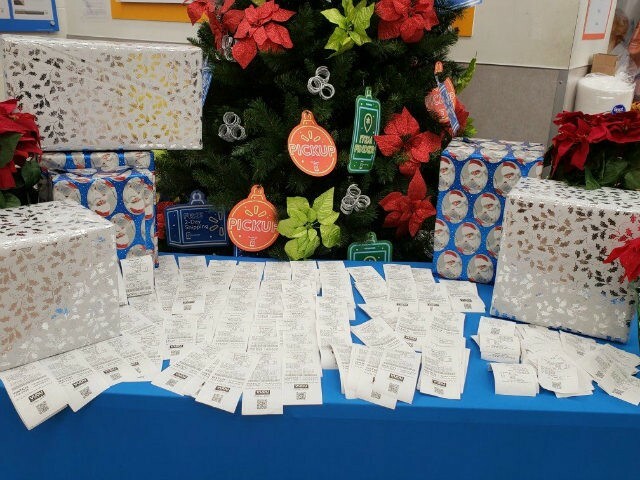 Christmas came a little early for shoppers at one Long Island, New York, Walmart: a “Secret Santa” paid off every outstanding layaway item on file at the store. The Secret Santa, who requested to remain anonymous, entered the Uniondale Walmart and paid off every single item listed in the store’s layaway department. Local residents praised the good deed, and some wished they were in on the deal. The retail giant also acknowledged this “random act of kindness,” releasing a statement saying Walmart is “proud” to play a role in these acts of generosity. There has been a trend over the past few years of anonymous Secret Santas paying off layaway accounts at big-box department stores nationwide during the holiday season. One Good Samaritan in New Jersey paid off more than $10,000 of holiday layaway items at a Toys “R” Us in Cherry Hill in 2017. In 2016, a Secret Santa known as “Santa B” paid off more than $46,000 in layaway items at a Walmart in Pennsylvania. In 2015, an anonymous donor visited two Ohio Walmarts and paid off 106,000 layaway items. That same year, a Secret Santa paid off $200,000 worth of layaway items at two Florida locations.